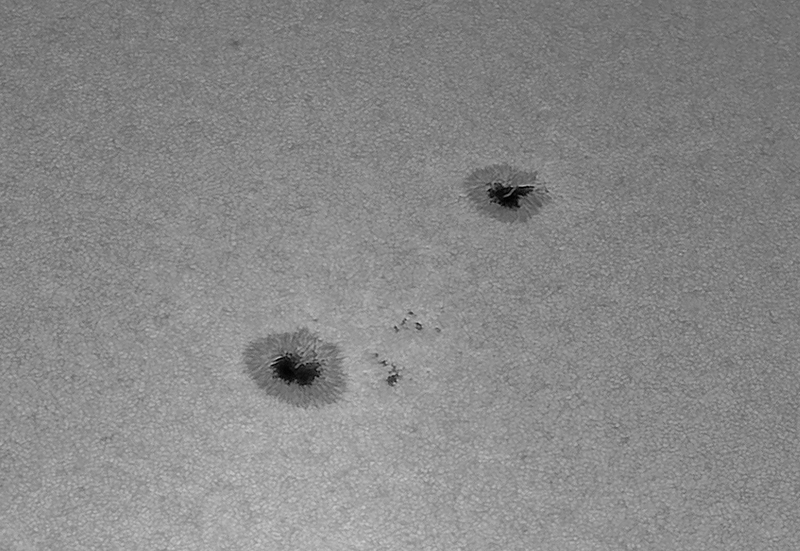 Barlow x3 view of sunspot group AR 2414. 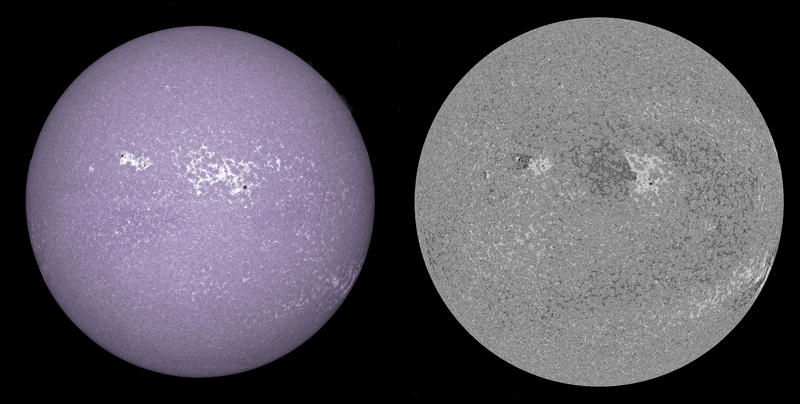 New sunspot showing the Wilson effect – the umbra lies about 1000 km lower than the photosphere.The umbra looks like the bottom of a soup dish viewed from an angle. 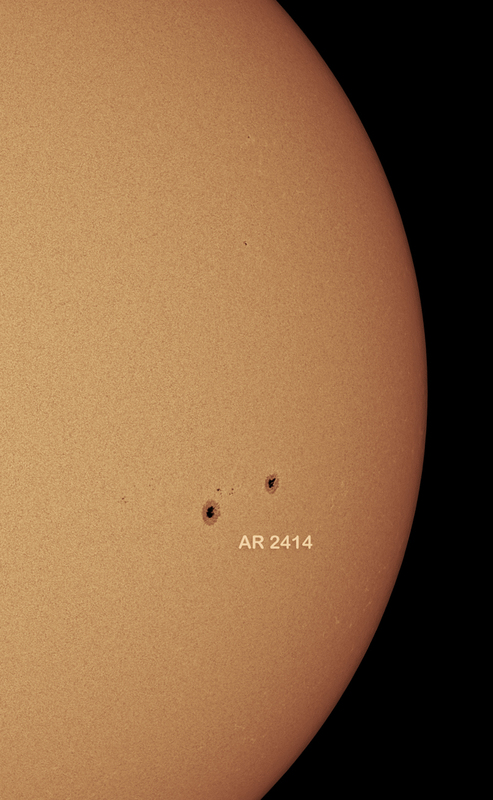 AR 2414 as zoomed in above. 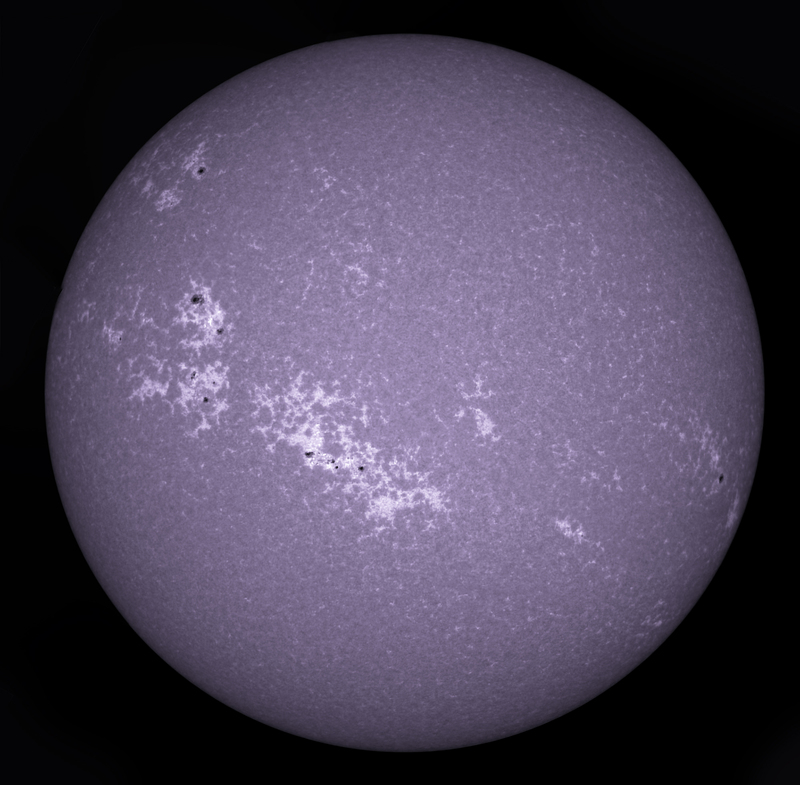 Equinox 120mm ED scope with Baader Herschel wedge. 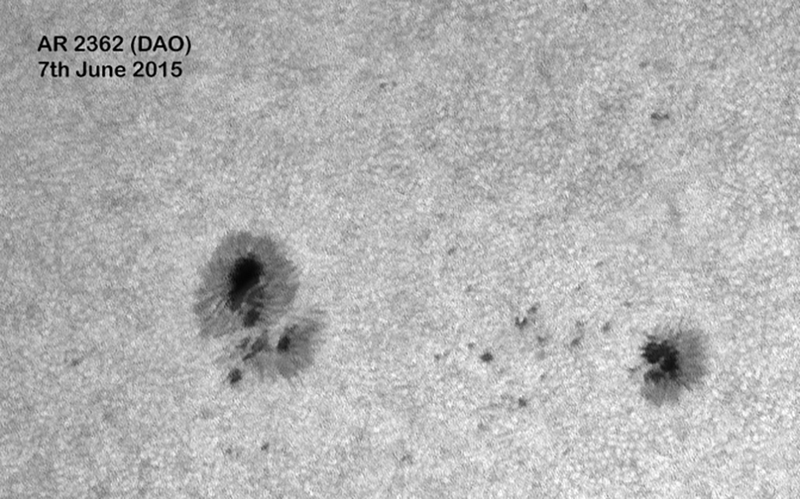 Skyris 274m CCD camera. Unfortunately, there’s not enough back focus to use the PGR Grasshopper 3 camera with this set up. Still struggling a little bit with Firecapture software – doesn’t seem to like recording more than 1000 frames of video for some reason. 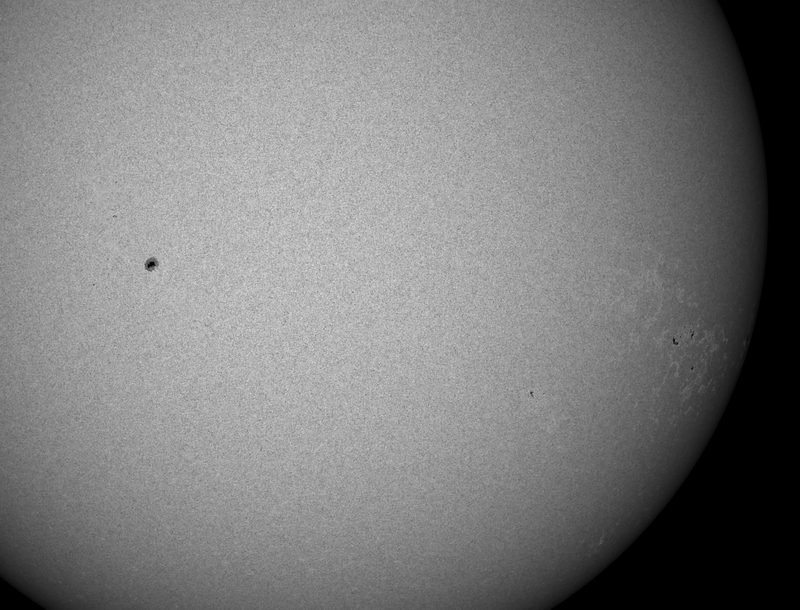 I just spent this afternoon playing about with settings rather than rushing to catch images but did get these two. 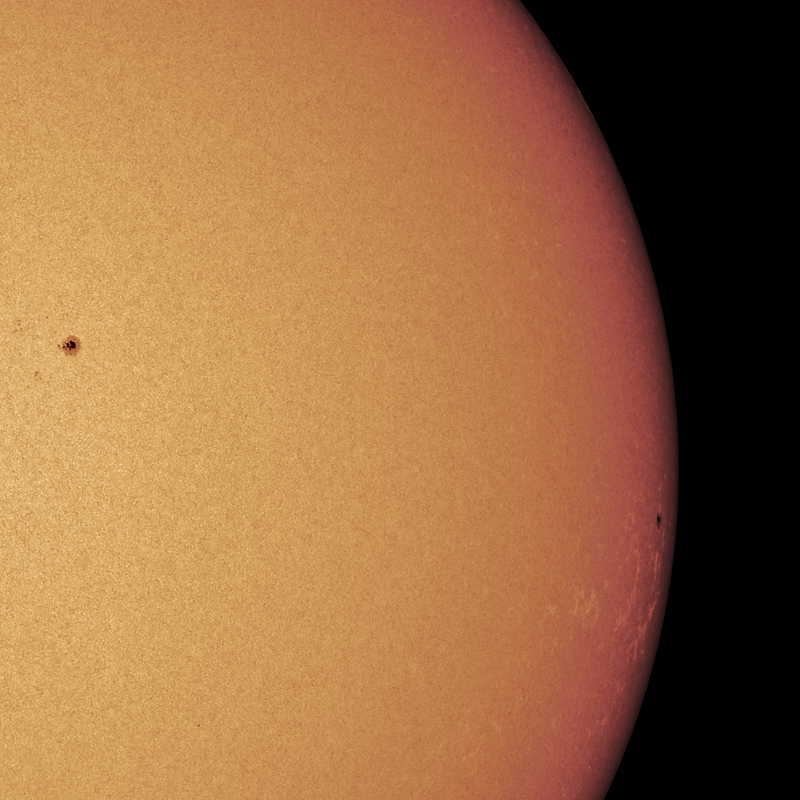 There was a lot of atmospheric turbulence so anything zoomed in was like boiling water. 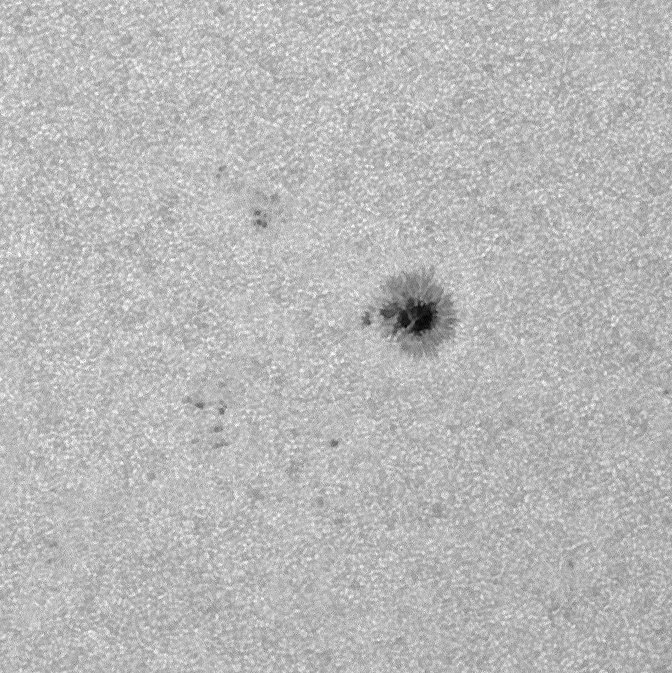 Small hedgerow prom in Ha and Full Disc 6 panel mosaic in white light. 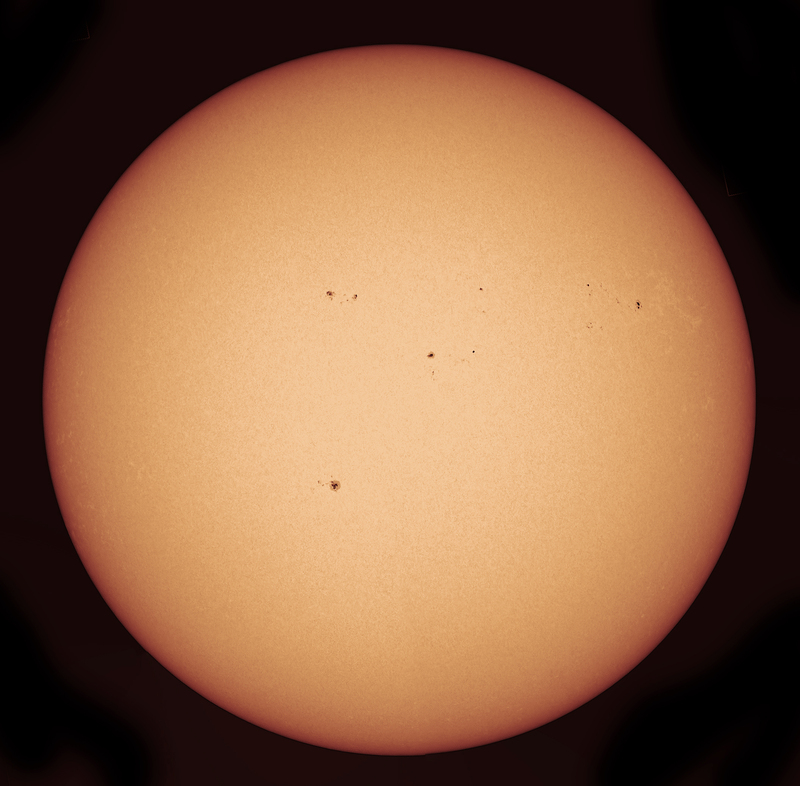 First light for my new scope, an Equinox 120ED, which will replace the trusty Celestron 102A for WL solar and lunar work. I have fitted the Equinox with a MoonLite focuser which is silky smooth and much more pleasurable to use than the “agricultural” focuser on the C102A. I removed the click-lock holder and attached the two filters inside the wedge to a Baader T2 to C adapter. This has a built-in screw fitting for a 1.25 inch filter so I put my UV/IR cut filter in that. Cloudy day and no major sunspots but was delighted to get focus with about an inch of drawtube showing on the focuser. Thought I would leave Barlows and mosaics for another day. 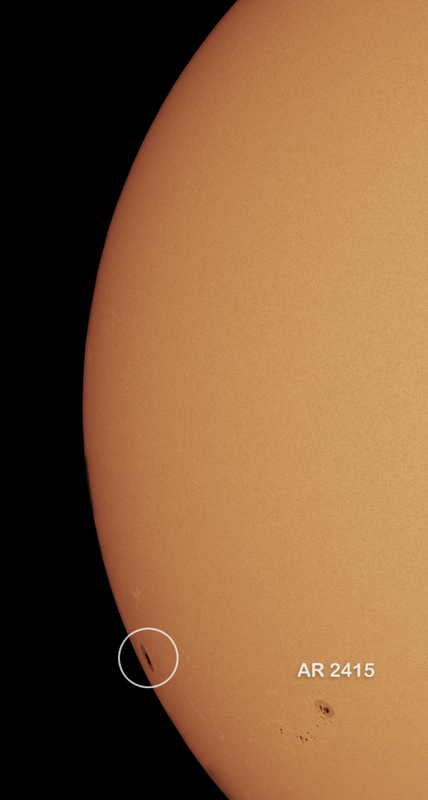 I’m not sure if the Equinox will work well for CaK – I know I will have to stop it down to about 9cm to get it to work at f10 (120/900mm scope). 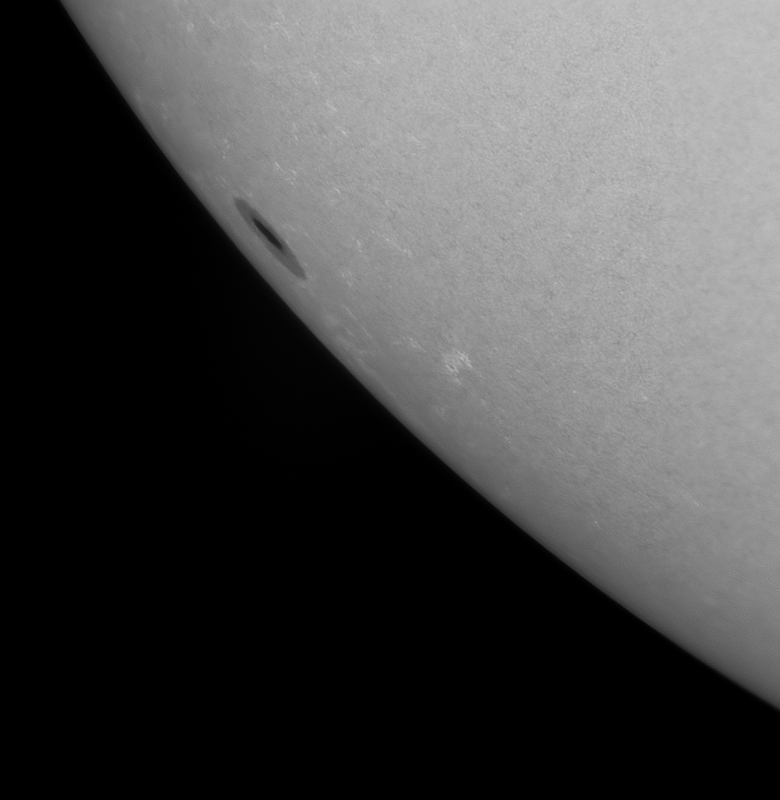 I have a B1200 wedge which the manufacturer only certifies to 100mm aperture- yet another reason to stop it down. 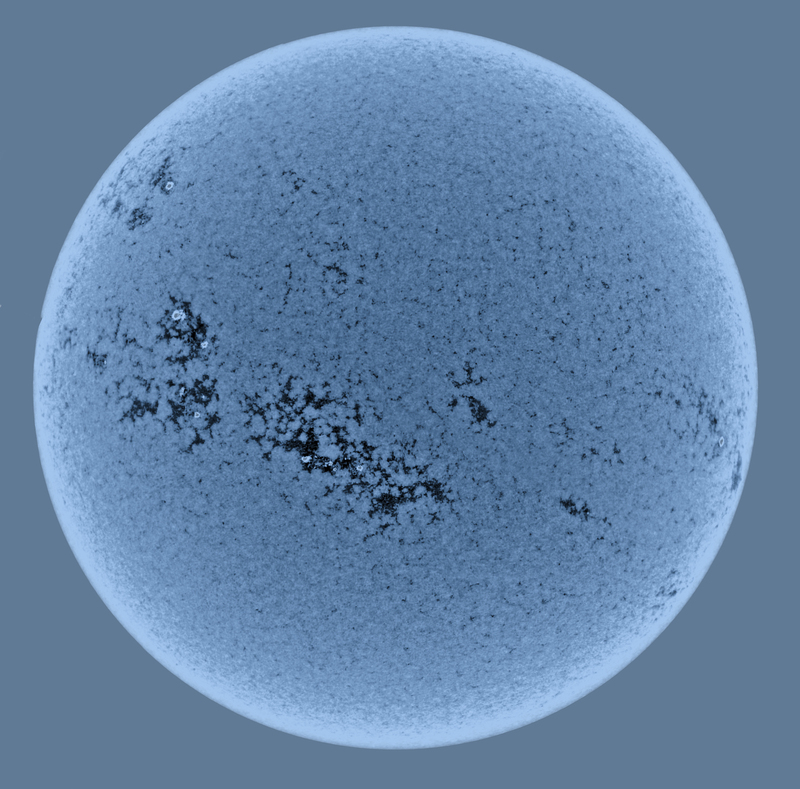 Even then, there might be a lot of spherical aberration but I will try it out and see. 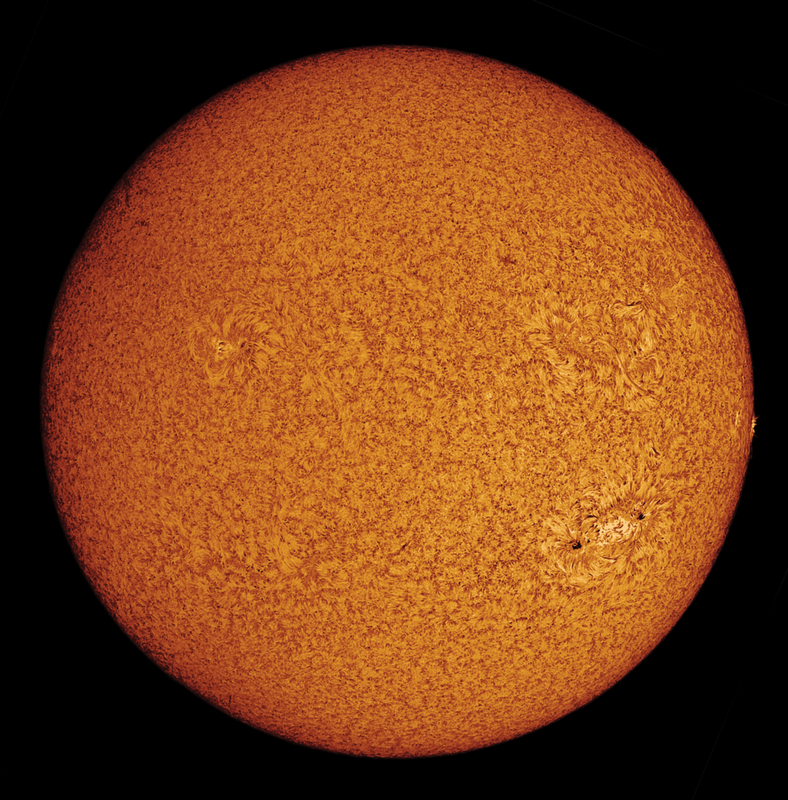 I wont dispose of the Celestron just yet! o – very few or none tiny spots between leader or follower.